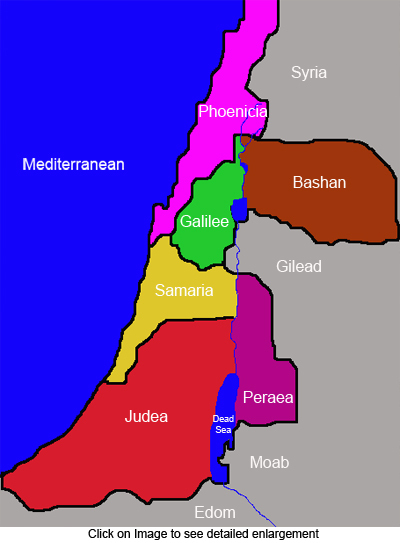 157:0.1 BEFORE JESUS took the twelve for a short sojourn in the vicinity of Caesarea-Philippi he arranged through the messengers of David to go over to Capernaum on Sunday, August 7, for the purpose of meeting his family. By prearrangement this visit was to occur at the Zebedee boatshop. David Zebedee had arranged with Jude, Jesus’ brother, for the presence of the entire Nazareth family—Mary and all of Jesus’ brothers and sisters —and Jesus went with Andrew and Peter to keep this appointment. It was certainly the intention of Mary and the children to keep this engagement, but it so happened that a group of the Pharisees, knowing that Jesus was on the opposite side of the lake in Philip’s domains, decided to call upon Mary to learn what they could of his whereabouts. The arrival of these Jerusalem emissaries greatly perturbed Mary, and noting the tension and nervousness of the entire family, they concluded that Jesus must have been expected to pay them a visit. Accordingly they installed themselves in Mary’s home and, after summoning reinforcements, waited patiently for Jesus’ arrival. And this, of course, effectively prevented any of the family from attempting to keep their appointment with Jesus. Several times during the day both Jude and Ruth endeavored to elude the vigilance of the Pharisees in their efforts to send word to Jesus, but it was of no avail. 157:0.2 Early in the afternoon David’s messengers brought Jesus word that the Pharisees were encamped on the doorstep of his mother’s house, and therefore he made no attempt to visit his family. And so again, through no fault of either, Jesus and his earth family failed to make contact. 157:1.3 All of this had been overheard by the secret messenger of David who stood near by, and who then signaled to an associate, fishing near the shore, to come in quickly. When Peter made ready to go out in the boat for a catch, this messenger and his fisherman friend presented him with several large baskets of fish and assisted him in carrying them to the fish merchant near by, who purchased the catch, paying sufficient, with what was added by the messenger of David, to meet the temple tax for the three. 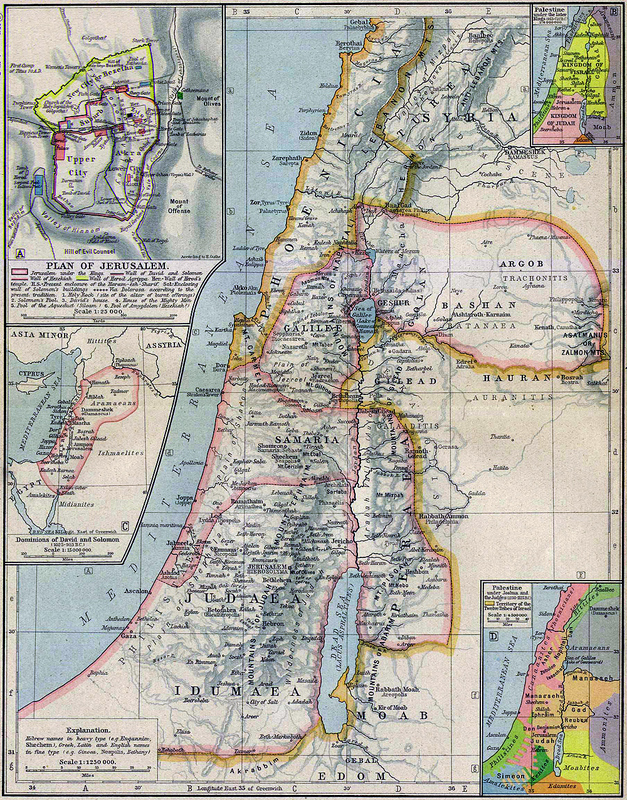 The collector accepted the tax, forgoing the penalty for tardy payment because they had been for some time absent from Galilee. 157:1.4 It is not strange that you have a record of Peter’s catching a fish with a shekel in its mouth. In those days there were current many stories about finding treasures in the mouths of fishes; such tales of near miracles were commonplace. So, as Peter left them to go toward the boat, Jesus remarked, half-humorously: “Strange that the sons of the king must pay tribute; usually it is the stranger who is taxed for the upkeep of the court, but it behooves us to afford no stumbling block for the authorities. Go hence! maybe you will catch the fish with the shekel in its mouth.” Jesus having thus spoken, and Peter so soon appearing with the temple tax, it is not surprising that the episode became later expanded into a miracle as recorded by the writer of Matthew’s Gospel. 157:1.5 Jesus, with Andrew and Peter, waited by the seashore until nearly sundown. Messengers brought them word that Mary’s house was still under surveillance; therefore, when it grew dark, the three waiting men entered their boat and slowly rowed away toward the eastern shore of the Sea of Galilee. 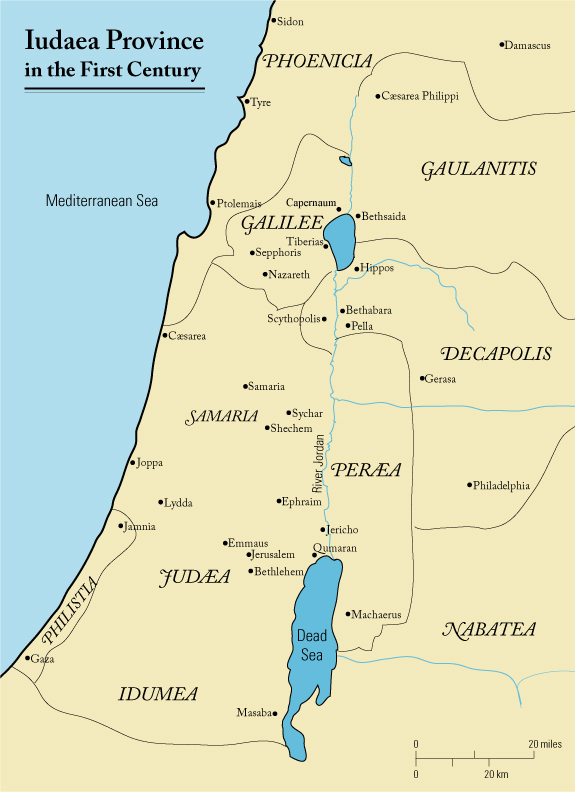 157:3.1 Early Tuesday morning Jesus and the twelve apostles left Magadan Park for Caesarea-Philippi, the capital of the Tetrarch Philip’s domain. Caesarea-Philippi was situated in a region of wondrous beauty. It nestled in a charming valley between scenic hills where the Jordan poured forth from an underground cave. 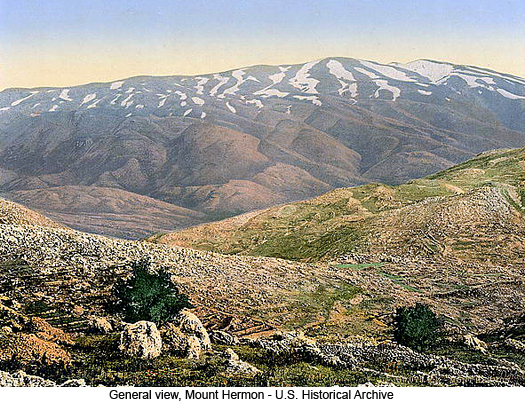 The heights of Mount Hermon were in full view to the north, while from the hills just to the south a magnificent view was had of the upper Jordan and the Sea of Galilee. 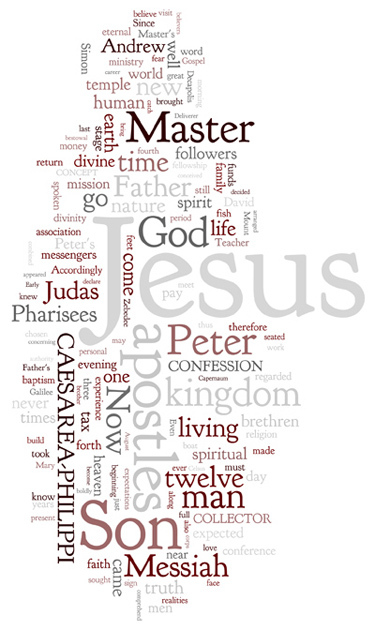 157:3.5 More than half the apostles participated in answering Jesus’ question. They told him that he was regarded as a prophet or as an extraordinary man by all who knew him; that even his enemies greatly feared him, accounting for his powers by the indictment that he was in league with the prince of devils. They told him that some in Judea and Samaria who had not met him personally believed he was John the Baptist risen from the dead. Peter explained that he had been, at sundry times and by various persons, compared with Moses, Elijah, Isaiah, and Jeremiah. 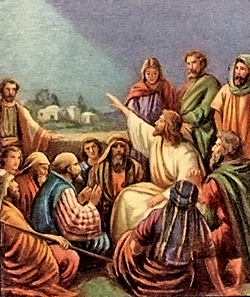 When Jesus had listened to this report, he drew himself upon his feet, and looking down upon the twelve sitting about him in a semicircle, with startling emphasis he pointed to them with a sweeping gesture of his hand and asked, “But who say you that I am?” There was a moment of tense silence. The twelve never took their eyes off the Master, and then Simon Peter, springing to his feet, exclaimed: “You are the Deliverer, the Son of the living God.” And the eleven sitting apostles arose to their feet with one accord, thereby indicating that Peter had spoken for all of them. 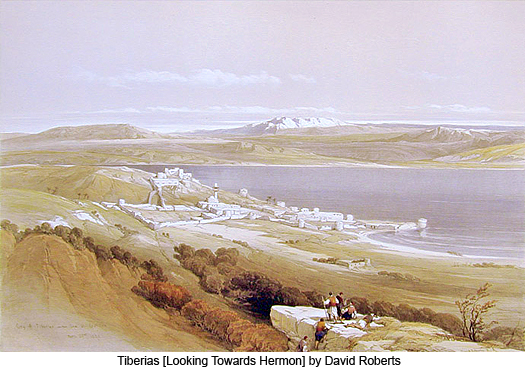 157:3.7 And so they resumed their journey to Caesarea-Philippi arriving late that evening and stopping at the home of Celsus, who was expecting them. The apostles slept little that night; they seemed to sense that a great event in their lives and in the work of the kingdom had transpired. 157:4.1 Since the occasions of Jesus’ baptism by John and the turning of the water into wine at Cana, the apostles had, at various times, virtually accepted him as the Messiah. For short periods some of them had truly believed that he was the expected Deliverer. But hardly would such hopes spring up in their hearts than the Master would dash them to pieces by some crushing word or disappointing deed. They had long been in a state of turmoil due to conflict between the concepts of the expected Messiah which they held in their minds and the experience of their extraordinary association with this extraordinary man which they held in their hearts. 157:4.2 It was late forenoon on this Wednesday when the apostles assembled in Celsus’ garden for their noontime meal. During most of the night and since they had arisen that morning, Simon Peter and Simon Zelotes had been earnestly laboring with their brethren to bring them all to the point of the wholehearted acceptance of the Master, not merely as the Messiah, but also as the divine Son of the living God. The two Simons were well-nigh agreed in their estimate of Jesus, and they labored diligently to bring their brethren around to the full acceptance of their views. While Andrew continued as the director-general of the apostolic corps, his brother, Simon Peter, was becoming, increasingly and by common consent, the spokesman for the twelve. 157:4.4 After they had partaken of their meal and were engaged in discussing plans for the forthcoming tour of the Decapolis, Jesus suddenly looked up into their faces and said: “Now that a full day has passed since you assented to Simon Peter’s declaration regarding the identity of the Son of Man, I would ask if you still hold to your decision?” On hearing this, the twelve stood upon their feet, and Simon Peter, stepping a few paces forward toward Jesus, said: “Yes, Master, we do. We believe that you are the Son of the living God.” And Peter sat down with his brethren. 157:4.5 Jesus, still standing, then said to the twelve: “You are my chosen ambassadors, but I know that, in the circumstances, you could not entertain this belief as a result of mere human knowledge. This is a revelation of the spirit of my Father to your inmost souls. And when, therefore, you make this confession by the insight of the spirit of my Father which dwells within you, I am led to declare that upon this foundation will I build the brotherhood of the kingdom of heaven. Upon this rock of spiritual reality will I build the living temple of spiritual fellowship in the eternal realities of my Father’s kingdom. All the forces of evil and the hosts of sin shall not prevail against this human fraternity of the divine spirit. And while my Father’s spirit shall ever be the divine guide and mentor of all who enter the bonds of this spirit fellowship, to you and your successors I now deliver the keys of the outward kingdom—the authority over things temporal—the social and economic features of this association of men and women as fellows of the kingdom.” And again he charged them, for the time being, that they should tell no man that he was the Son of God. 157:4.6 Jesus was beginning to have faith in the loyalty and integrity of his apostles. The Master conceived that a faith which could stand what his chosen representatives had recently passed through would undoubtedly endure the fiery trials which were just ahead and emerge from the apparent wreckage of all their hopes into the new light of a new dispensation and thereby be able to go forth to enlighten a world sitting in darkness. On this day the Master began to believe in the faith of his apostles, save one. 157:4.7 And ever since that day this same Jesus has been building that living temple upon that same eternal foundation of his divine sonship, and those who thereby become self-conscious sons of God are the human stones which constitute this living temple of sonship erecting to the glory and honor of the wisdom and love of the eternal Father of spirits. 157:4.8 And when Jesus had thus spoken, he directed the twelve to go apart by themselves in the hills to seek wisdom, strength, and spiritual guidance until the time of the evening meal. And they did as the Master admonished them. 157:5.1 The new and vital feature of Peter’s confession was the clear-cut recognition that Jesus was the Son of God, of his unquestioned divinity. Ever since his baptism and the wedding at Cana these apostles had variously regarded him as the Messiah, but it was not a part of the Jewish concept of the national deliverer that he should be divine. 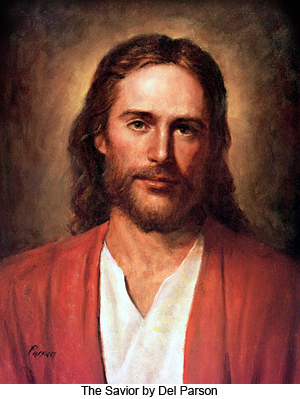 The Jews had not taught that the Messiah would spring from divinity; he was to be the “anointed one,” but hardly had they contemplated him as being “the Son of God.” In the second confession more emphasis was placed upon the combined nature, the supernal fact that he was the Son of Man and the Son of God, and it was upon this great truth of the union of the human nature with the divine nature that Jesus declared he would build the kingdom of heaven. 157:5.2 Jesus had sought to live his life on earth and complete his bestowal mission as the Son of Man. His followers were disposed to regard him as the expected Messiah. Knowing that he could never fulfill their Messianic expectations, he endeavored to effect such a modification of their concept of the Messiah as would enable him partially to meet their expectations. But he now recognized that such a plan could hardly be carried through successfully. He therefore elected boldly to disclose the third plan—openly to announce his divinity, acknowledge the truthfulness of Peter’s confession, and directly proclaim to the twelve that he was a Son of God. 157:5.3 For three years Jesus had been proclaiming that he was the “Son of Man,” while for these same three years the apostles had been increasingly insistent that he was the expected Jewish Messiah. He now disclosed that he was the Son of God, and upon the concept of the combined nature of the Son of Man and the Son of God, he determined to build the kingdom of heaven. He had decided to refrain from further efforts to convince them that he was not the Messiah. He now proposed boldly to reveal to them what he is, and then to ignore their determination to persist in regarding him as the Messiah. 157:6.1 Jesus and the apostles remained another day at the home of Celsus, waiting for messengers to arrive from David Zebedee with funds. Following the collapse of the popularity of Jesus with the masses there occurred a great falling off in revenue. When they reached Caesarea-Philippi, the treasury was empty. Matthew was loath to leave Jesus and his brethren at such a time, and he had no ready funds of his own to hand over to Judas as he had so many times done in the past. However, David Zebedee had foreseen this probable diminution of revenue and had accordingly instructed his messengers that, as they made their way through Judea, Samaria, and Galilee, they should act as collectors of money to be forwarded to the exiled apostles and their Master. And so, by evening of this day, these messengers arrived from Bethsaida bringing funds sufficient to sustain the apostles until their return to embark upon the Decapolis tour. 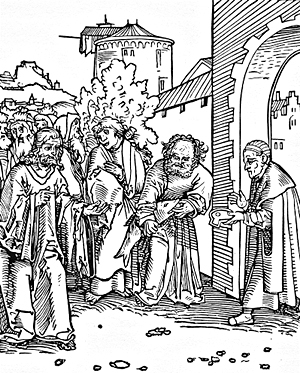 Matthew expected to have money from the sale of his last piece of property in Capernaum by that time, having arranged that these funds should be anonymously turned over to Judas. 157:6.2 Neither Peter nor the other apostles had a very adequate conception of Jesus’ divinity. They little realized that this was the beginning of a new epoch in their Master’s career on earth, the time when the teacher-healer was becoming the newly conceived Messiah—the Son of God. From this time on a new note appeared in the Master’s message. Henceforth his one ideal of living was the revelation of the Father, while his one idea in teaching was to present to his universe the personification of that supreme wisdom which can only be comprehended by living it. He came that we all might have life and have it more abundantly. 157:6.3 Jesus now entered upon the fourth and last stage of his human life in the flesh. The first stage was that of his childhood, the years when he was only dimly conscious of his origin, nature, and destiny as a human being. The second stage was the increasingly self-conscious years of youth and advancing manhood, during which he came more clearly to comprehend his divine nature and human mission. This second stage ended with the experiences and revelations associated with his baptism. The third stage of the Master’s earth experience extended from the baptism through the years of his ministry as teacher and healer and up to this momentous hour of Peter’s confession at Caesarea-Philippi. This third period of his earth life embraced the times when his apostles and his immediate followers knew him as the Son of Man and regarded him as the Messiah. The fourth and last period of his earth career began here at Caesarea-Philippi and extended on to the crucifixion. This stage of his ministry was characterized by his acknowledgment of divinity and embraced the labors of his last year in the flesh. During the fourth period, while the majority of his followers still regarded him as the Messiah, he became known to the apostles as the Son of God. Peter’s confession marked the beginning of the new period of the more complete realization of the truth of his supreme ministry as a bestowal Son on Urantia and for an entire universe, and the recognition of that fact, at least hazily, by his chosen ambassadors. 157:6.4 Thus did Jesus exemplify in his life what he taught in his religion: the growth of the spiritual nature by the technique of living progress. He did not place emphasis, as did his later followers, upon the incessant struggle between the soul and the body. He rather taught that the spirit was easy victor over both and effective in the profitable reconciliation of much of this intellectual and instinctual warfare. 157:6.5 A new significance attaches to all of Jesus’ teachings from this point on. 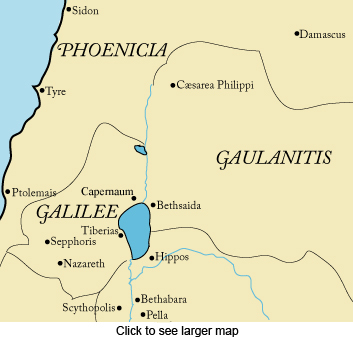 Before Caesarea-Philippi he presented the gospel of the kingdom as its master teacher. After Caesarea-Philippi he appeared not merely as a teacher but as the divine representative of the eternal Father, who is the center and circumference of this spiritual kingdom, and it was required that he do all this as a human being, the Son of Man. 157:6.6 Jesus had sincerely endeavored to lead his followers into the spiritual kingdom as a teacher, then as a teacher-healer, but they would not have it so. He well knew that his earth mission could not possibly fulfill the Messianic expectations of the Jewish people; the olden prophets had portrayed a Messiah which he could never be. He sought to establish the Father’s kingdom as the Son of Man, but his followers would not go forward in the adventure. Jesus, seeing this, then elected to meet his believers part way and in so doing prepared openly to assume the role of the bestowal Son of God. 157:6.13 “Nevertheless, I tell you that the Father and I are one. He who has seen me has seen the Father. My Father is working with me in all these things, and he will never leave me alone in my mission, even as I will never forsake you when you presently go forth to proclaim this gospel throughout the world. 157:6.15 The apostles listened to these bold and startling statements in silence; they were stunned. And they dispersed in small groups to discuss and ponder the Master’s words. They had confessed that he was the Son of God, but they could not grasp the full meaning of what they had been led to do. 157:7.2 And that was all Andrew could elicit from Jesus. Always had there been some strangeness between this Judean and his Galilean brethren. 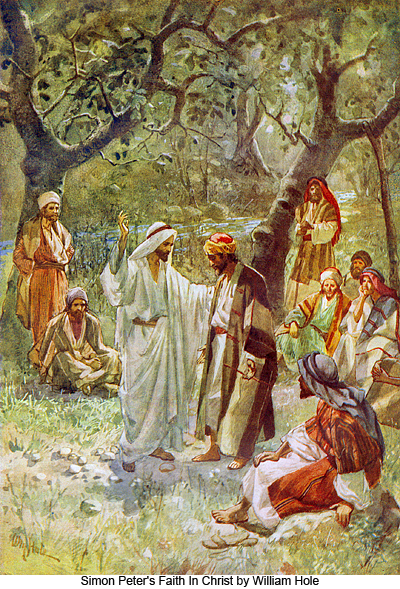 Judas had been shocked by the death of John the Baptist, severely hurt by the Master’s rebukes on several occasions, disappointed when Jesus refused to be made king, humiliated when he fled from the Pharisees, chagrined when he refused to accept the challenge of the Pharisees for a sign, bewildered by the refusal of his Master to resort to manifestations of power, and now, more recently, depressed and sometimes dejected by an empty treasury. And Judas missed the stimulus of the multitudes. 157:7.3 Each of the other apostles was, in some and varying measure, likewise affected by these selfsame trials and tribulations, but they loved Jesus. At least they must have loved the Master more than did Judas, for they went through with him to the bitter end. 157:7.4 Being from Judea, Judas took personal offense at Jesus’ recent warning to the apostles to “beware the leaven of the Pharisees”; he was disposed to regard this statement as a veiled reference to himself. 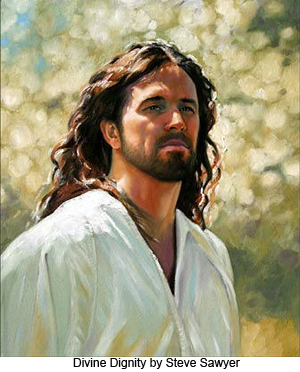 But the great mistake of Judas was: Time and again, when Jesus would send his apostles off by themselves to pray, Judas, instead of engaging in sincere communion with the spiritual forces of the universe, indulged in thoughts of human fear while he persisted in the entertainment of subtle doubts about the mission of Jesus as well as giving in to his unfortunate tendency to harbor feelings of revenge.